The elegance of the 30s is sets the tone and inspiration for the season. Pure lines, sophisticated colours, luxurious details. The holiday look is all about a smokey eye, which starts with subtly iridescent satin and natural tones cut with intense lacquered metals, a pearlescent radiant complexion and Gloss d’Armani lacquered lips in deep burgundy. Limited-Edition Madreperla Palette: Art Deco in all its glory with one of its iconic materials: Madre Perla. Madre Perla inlaid in a precious case, heralding a must-have product. Inspired by Art Deco style, Giorgio Armani’s famous black case is decorated in real Madre Perla. Precision work done entirely by hand in the purest tradition of luxury craftsmanship. A silver logo adorns this exclusive limited edition case, which just 3,000 women in the world will have the privilege of owning. 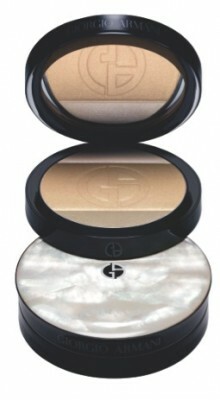 Inside are three luminous, satiny powders in sand, champagne and aqua. 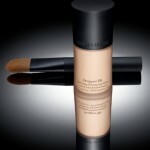 Blended over the eye area, the three shades sculpt and illuminate the eyes. Lightly dabbed onto the facial contours, the sand and champagne tones catch the light to increase the radiance of the complexion. 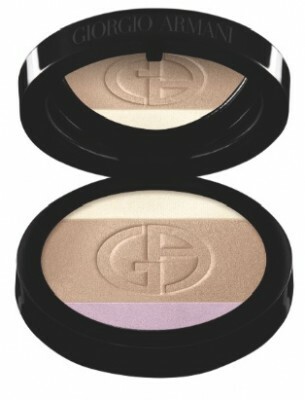 The Face & Eye Palette (Harmony 1, shown above) is also available in Giorgio Armani’s iconic black lacquer case. 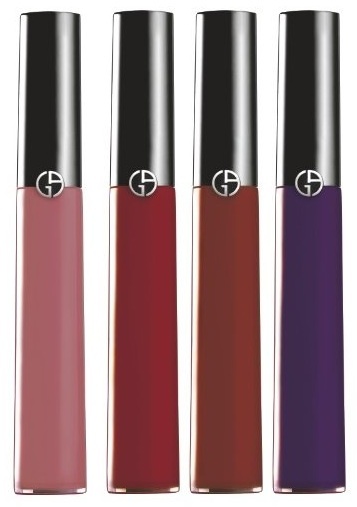 Gloss d’Armani: A real weave of colour, Gloss d’Armani offers comfortable long-lasting hold in four limited-edition shades, including Rosewood (pink), Amaranth (red), Sienna (brown) and Amethyst (purple), $28. 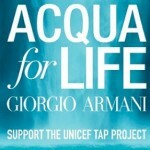 The Giorgio Armani Beauty Holiday Collection, Madre Perla, is available at GiorgioArmaniBeauty-usa.com . I don’t have this collection, but as you know, I love this line. I’m particularly taken with the Madreperla Palette–gorgeous neutral colors that are seasonless. 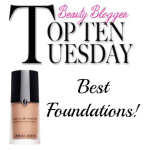 And don’t forget to check out my review of the new Giorgio Armani Designer Lift Foundation!